My Ecom Club, Scam or no Scam? This era’s fast-changing phase and rapidly increasing progress can be largely attributable to the internet. And E-commerce, or E-com, wherein commercial transactions are electronically conducted, is one of the growing industry that the internet has made way to. 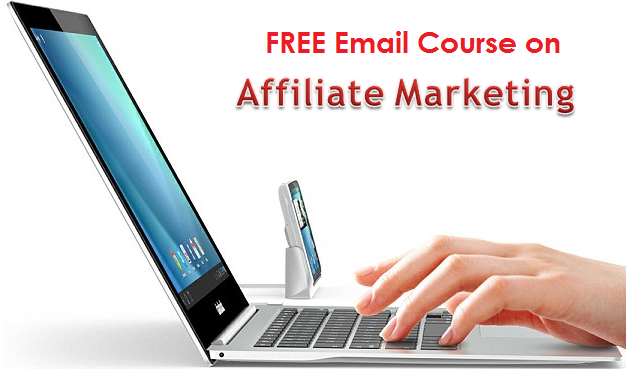 Many people are trying to discover this market but not all enthusiasts know how to start nor develop an E-com business successfully. But with just a click of a mouse, a retailer wanting to become an e-commerce expert will land to the enticing website of different groups offering a wide array of sources to start, develop and grow his business. One online platform that offers such services is My Ecom Club. With available demos, a free online account, free video trainings, and nothing but great reviews on their website, one will surely get tempted to sign up and join the club. But does My Ecom Club really provides the complete package in helping you make a profit in E-commerce? Will it be good for you or your business to join this club? Up to what cost will they provide their services? Let’s try to dig into this club and see if it is worth your time and money or it is only one of the thousands of scams luring individuals on the internet. My Ecom Club, an online business founded by Teo Vee is really a dropshipping course that costs $37 once you try to hire a coach with numerous upsells that can cost up to $1,997. When we try to really look into it, it will not be possible to succeed in E-commerce using your My Ecom Club membership without purchasing their high-ticket back-end product for $1,997 and paying the subscription fee of $97 per month. What is dropshipping then and what are the back-end products? The club has a program that teaches individuals about the business model Dropshipping. It is a common model in the E-commerce market nowadays. Basically, it is just like the traditional E-commerce that is upgraded to eliminate inventory and shipping handling as well as customer service. With different businesses like Shopify and AliExpress, dropshippers automate their traditional E-commerce processes. Many are encouraged to join the club since membership is free and training videos are offered. But what they don’t know is the areas being discussed in the trainings such as selecting your niche and products, having the right mindset, optimizing your store and getting traffic, are just basic and generic knowledge about dropshipping. These tips and strategies are very easy to access online for free too. But for you to apply and practice what you’ve learned through the club’s videos and testimonials you need to hire their coach (costs $37). And if you want to start earning for your business, you need to buy their upsells. The first sales funnel of this club is their “personal coach” offering. Videos and testimonials of other members will pop-up too many times saying that a coach to assist you is very essential. The said coach will eagerly answer some of your questions but in the end, offer and promote the club’s back-end upsells. The bloodline of the club and their main upsell is the Done-For-You Ecom Store that is worth $1,997. 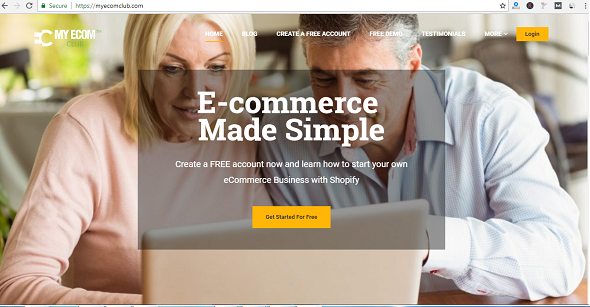 The values included in this product are 2 Shopify store setup, 100 top selling products which you can personally choose, written descriptions for the chosen products, DFY theme and logo, and trainings on traffic generation. It may seem like a lot of inclusions but the cost is way too expensive. The said amount does not even include technical support like Skype help and webinar training. For you to enjoy these benefits, you have to pay $97 per month. The worst part is, if you decide not to buy this product, you won’t be progressing with your e-commerce business with My Ecom Club’s membership. If there is something really beneficial with no strings attached from this club, it would be the basics that complete newbies will learn about dropshipping. The owner has done tremendously good effort in offering value upfront. Another pro is it offers a legit business model which has helped many entrepreneurs today to be successful. Lastly, they offer a 30-day money-back guarantee though some say the refund policy is not being honored by the club. Looking at the other side, one of the irritating negative aspects of My Ecom Club is the fake testimonials and success stories on their website. They are using photos from the GettyImages website and include completely false narratives. The expensive hidden costs and upsell coach which you will be tempted to purchase because of the various emails you are getting to contact your coach is another downside of this club. So you need to be really careful in clicking the links in your emails or on their website. This club may not be considered a scam since they promote a legit business model and offer valuable training and knowledge about dropshipping. 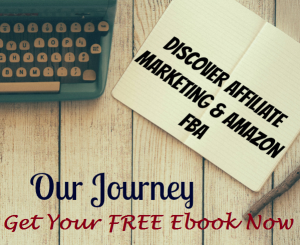 But just like how this article has explained, the free membership, lengthy training videos and the “personal coach” touch, are just the gateway towards offering you their main product with a cost of $1,997 + $97 per month. If you really like to learn and choose the E-commerce path in pursuing a business, you have to be really careful and try to avoid expensive programs like what My Ecom Club Offers.